Magnet featuring quote: Tears are God's gift to us. Our holy water. 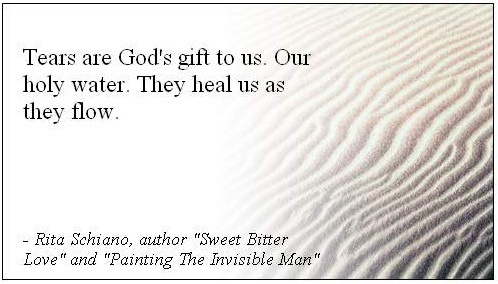 They heal us as they flow - from "Sweet Bitter Love" by Rita Schiano.